A feature the Corsair TX Power Supply line touts is the ability to supply ample, efficient power to your PC rig while doing so quietly. So whats our verdict on this claim? Comparing it to my relatively quiet Allied AL-A400ATX 400W unit, the Corsair was more or less on par. With a low hum, I wouldn't say that the TX750W was silent but it certainly wasn't loud either. If you were to place your case under your table or store it under a cabinet I would say you probably wouldn't notice the presence of the PSU fan. 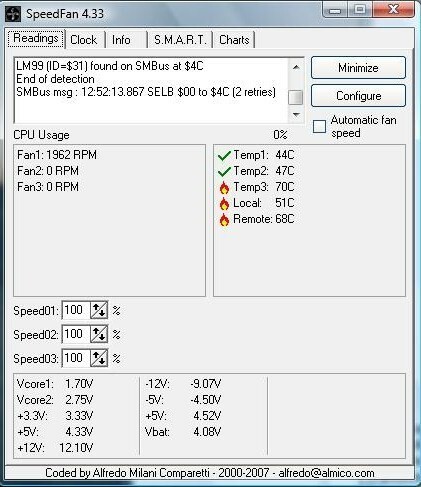 After installing the TX750W I noticed via Speedfan lower temperature readings across the board (relative to my old Allied 400W PSU). This can be attributed to several features of the PSU: its organized cable management in conjunction to its ability to provide stable current consistently over a long period of time to the whole system. Although the number of connectors had me nervous as to its impact on airflow in the case, the supplied neckties took care of that. 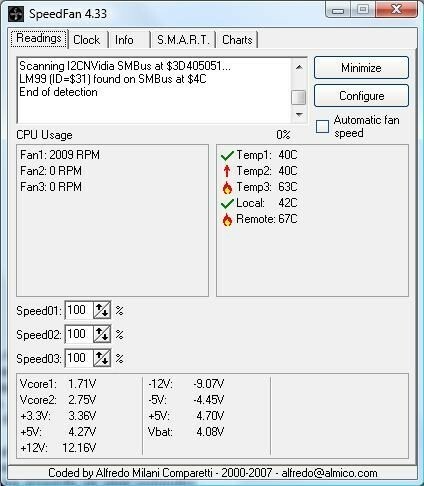 Overall a boost in airflow also led to a decrease in temperature in the case.